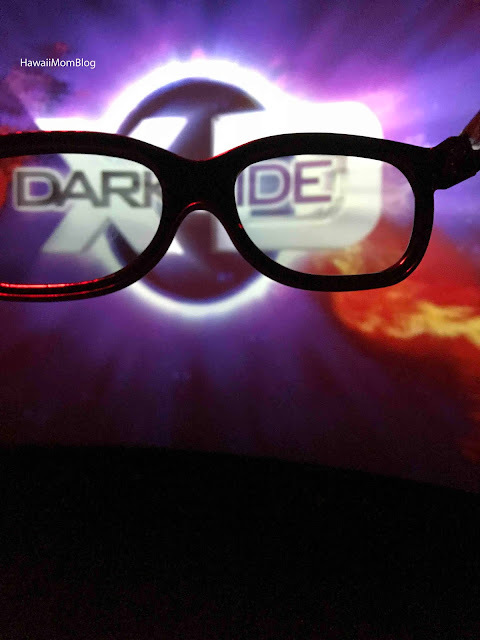 Xtreme 7D Dark Rides is now open in Ka Makana Ali`i! 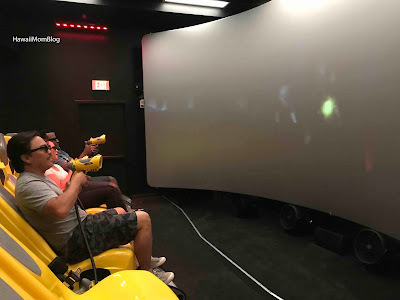 I was already familiar with the 7D virtual reality experience from a San Francisco trip, so I knew I was in store for a lot of fun. 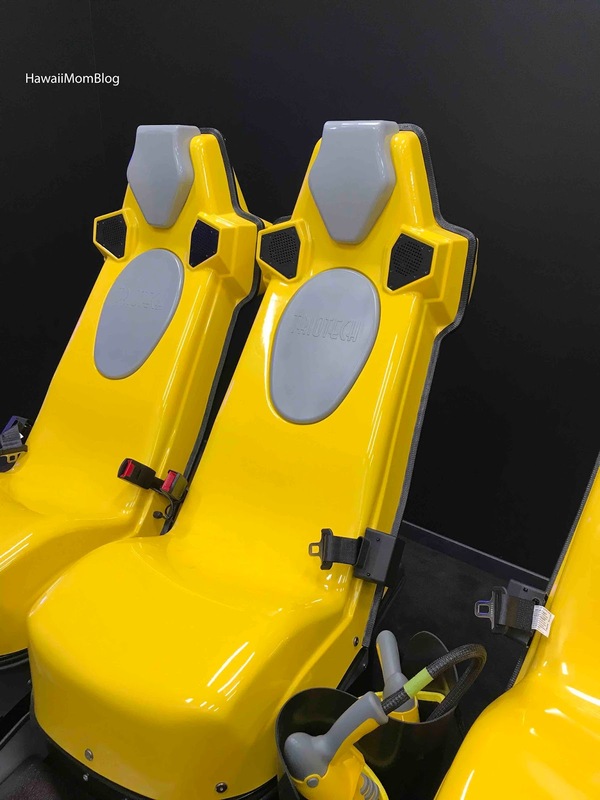 The 8-seat theater features several interactive games combined with a dynamic motion ride. 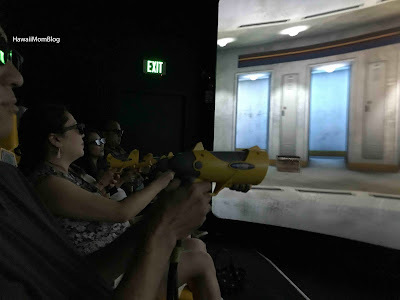 After guests buckle themselves in, put on their special glasses, and equip themselves with the laser gun, a practice round begins (look for the bonus objects, and don't shoot the innocent people!). 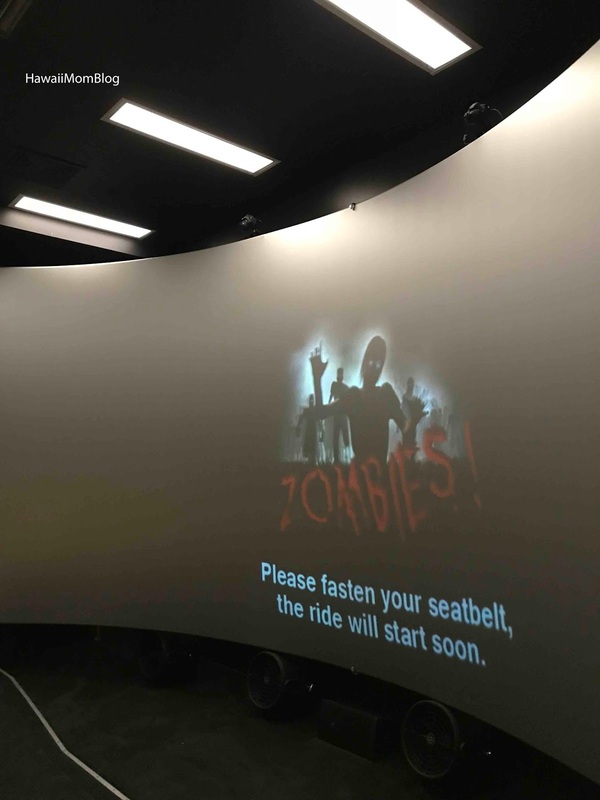 Riders immerse themselves in adventures in which they are shooting zombies, aliens, cowboys, or werewolves, while the ride simulates speeding through winding roads, falling down buildings, and zipping through space. 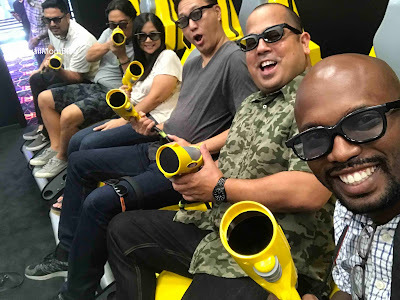 The rides are about 5-6 minutes long, and you'll definitely feel the rattle of the explosions and wind in your face as you battle the enemies (you can view a very brief video on my Instagram here). 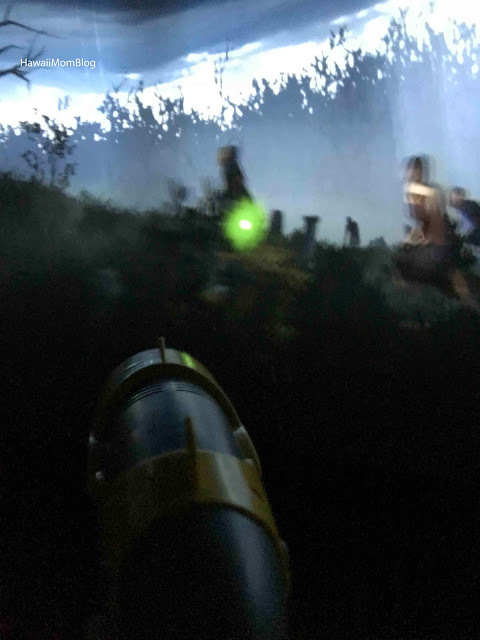 It's a fast game, but it is also very exciting! It's common for guests to buy multiple rides to experience different games - they are all unique! 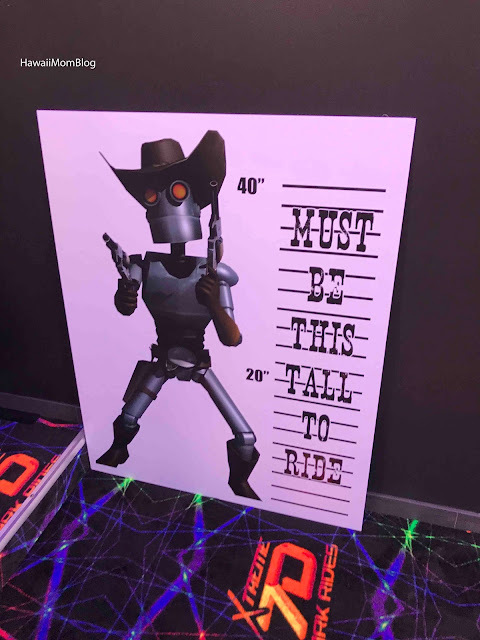 A scoring system will feature guests' photos on screen from highest to lowest at the end of each game, and guests outside waiting in line for their turns will be able to watch the action on screen. 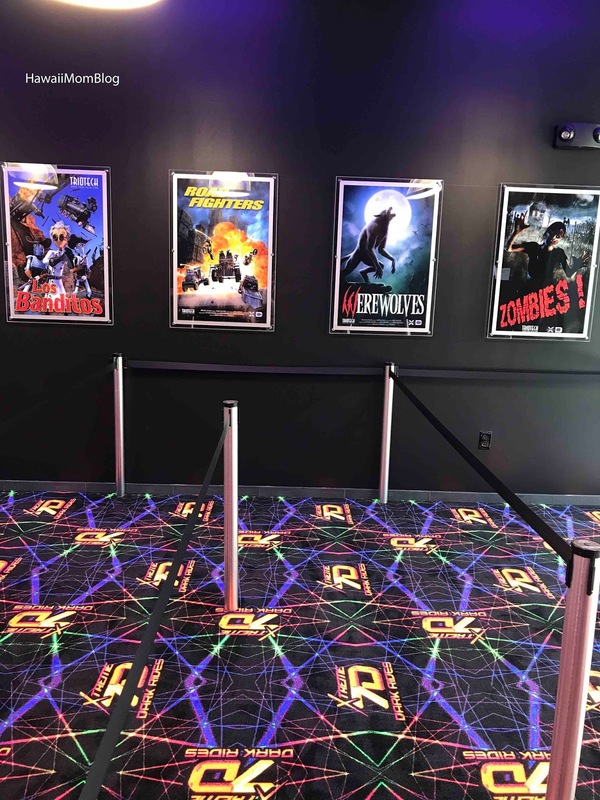 Some of the scenes can be a little scary for young ones, so don't hesitate to ask one of the employees about their recommendations. 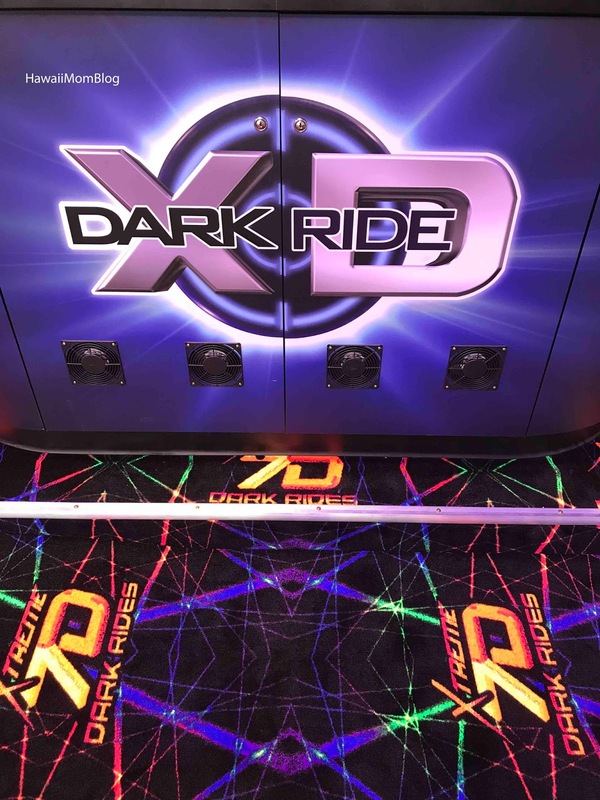 Xtreme 7D Dark Rides is located in Ka Makana Ali‘i next to the Ultimate Foot Store and across from Rock ‘N Fun. 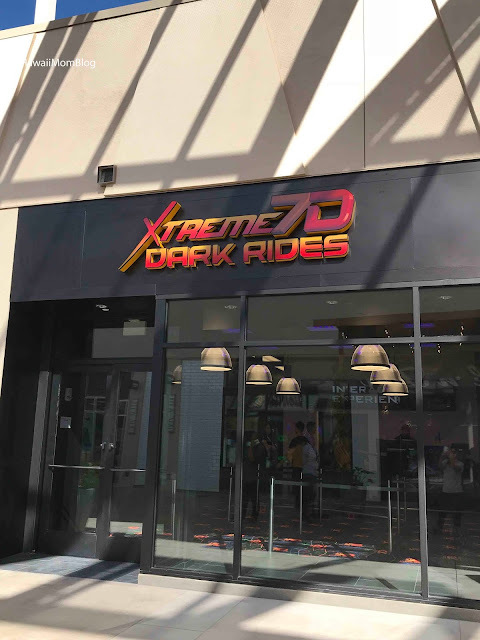 For more information, visit xtreme7d.com.